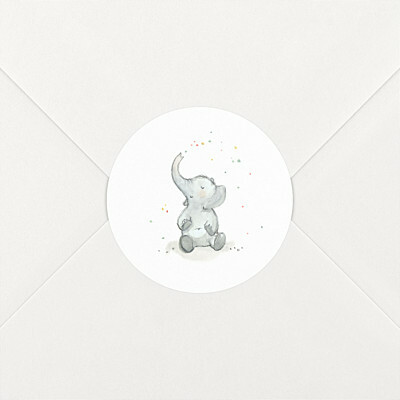 Looking for an elegant way to seal your baby thank you cards or baby announcements? Look no further than our baby stickers. 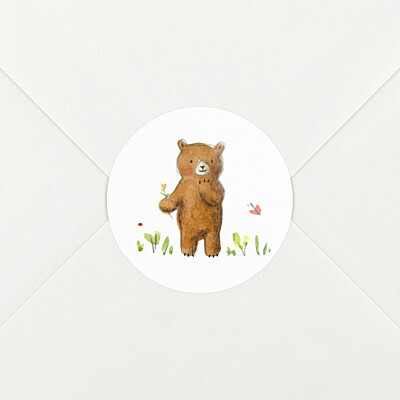 Many of our baby sticker designs can be personalised online using our editing tool. Given that your little one is sure to be keeping you busy, we have made it easy as possible for you to personalise your baby stickers. 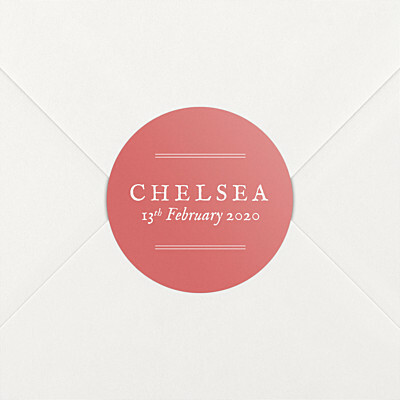 Simply choose your design, click on the red “Personalise” button and then replace our sample text with your chosen wording. 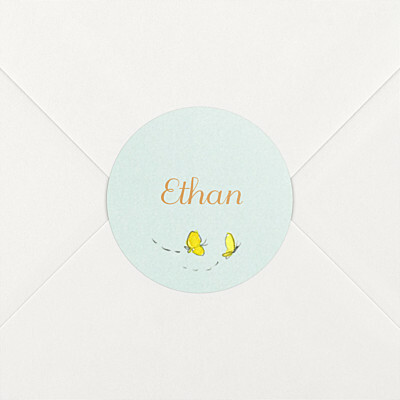 Add your baby’s name to your baby stickers so that everyone knows who the card is from before opening the envelope, or you can even add your baby’s date of birth to announce his or her arrival. 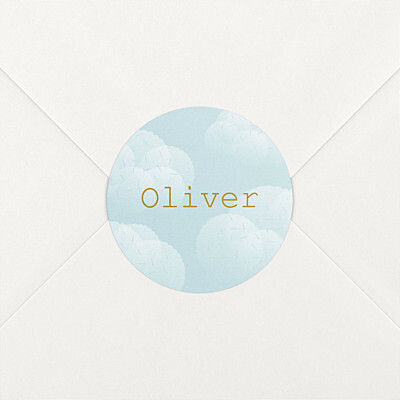 Personalise your baby stickers to match your baby thank you cards, baby announcements or even your christening invitations. 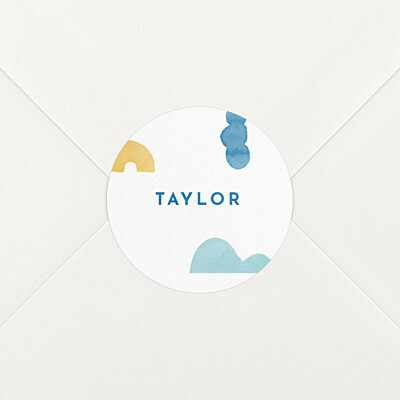 No matter what text you choose to add to your personalised baby stickers, our proofreaders will check through your wording before sending your baby stickers to print. Our graphic designers will even make sure that the layout of your baby stickers is perfect, as part of our complimentary retouching service. 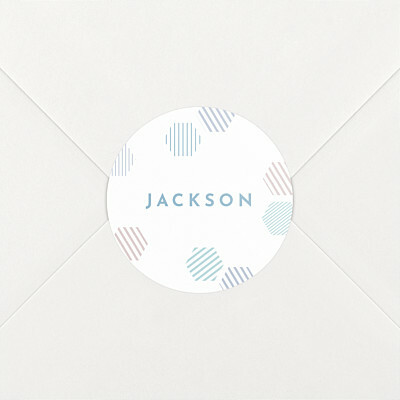 Your baby stickers will then be printed on our high-quality paper, giving them a satin finish to help them arrive safely in the post. 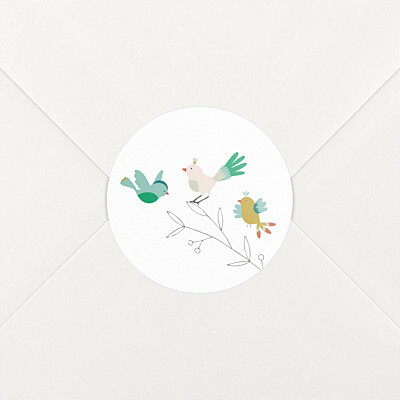 As with all of our personalised stationery, we treat your baby stickers as if they are our own, so our design, customer service and printing team will go above and beyond to make sure that you love your personalised baby stickers. 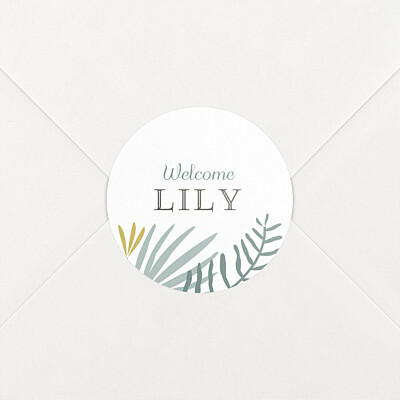 Do not hesitate to get in touch with our friendly customer service team should you have any questions about our baby stickers as they will be more than happy to help.